Domestic production of natural gas is projected to increase significantly within the next decade. Chris Hagen, assistant professor in energy systems engineering, believes that this growth in natural gas production, coupled with advancements in methane-fueled vehicle, holds great promise toward relieving America’s dependence on foreign oil. 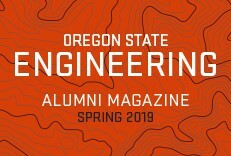 Hagen is spearheading a research program at OSU-Cascades to develop a self-contained natural gas vehicle with an engine that can compress the fuel and power the car, thus eliminating the need for fueling stations. 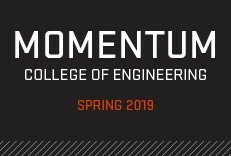 Hagen’s research is one of 13 new cutting-edge projects funded by ARPA-E (the Department of Energy’s Advanced Research Project Agency–Energy) through its new program titled Methane Opportunities for Vehicular Energy (MOVE). The program supports the development of transformational technologies that reduce the barriers to mass adoption of natural gas in vehicles — by enabling natural gas vehicles to be fueled at home, for example. The challenge is the same for all researchers: they must meet the specifications set by the ARPA-E grant for cost, efficiency, weight, and whether the compressor is outside or inside the car. Hagen’s research is unique and far-reaching. 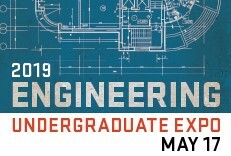 While all other ARPA-E grant awardees focus on two activities — developing lower-cost garage model compressors to enable home fueling and optimizing on-vehicle storage tanks — Hagen is taking a different approach. In a nutshell, Hagen’s design would keep the number of added components to a minimum by combining the compressor and combustion engine into one system and making that entire system a modification to an existing vehicle. Hagen’s first task is to prove the concept, which involves building a test model. His team will build a double-ended dynamometer — a measuring device for engine output — that has an internal combustion engine on both ends. They will attempt to get one engine to combust and the other to compress. When both sides work properly independently, the next step will be to get them to work together as one unit. “At that point, we’d have an engine that can act as a compressor coupled to an AC motor so that it can behave as if in a car,” said Hagen. The system will then be tested using nitrogen, then air, and finally natural gas. It will be optimized for size, weight, and cost while keeping safety features and performance metrics the same. Finally, it will be put in a car. To meet the ARPA-E proposal specifications, the system will cost less than $400 and weigh approximately 30 pounds. The vehicle will be street drivable at the conclusion of the project, less than two years from now.